Make Your Refurbishing, Repair, Upholstery, and Coating Project Lead Safe! HAVING WORK DONE ON YOUR PLACE? 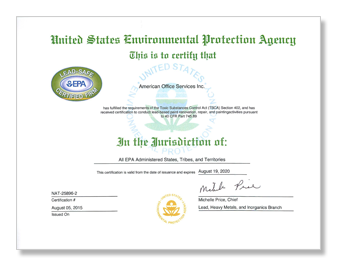 Download Our Lead-Safe Certified Firm Certificate!